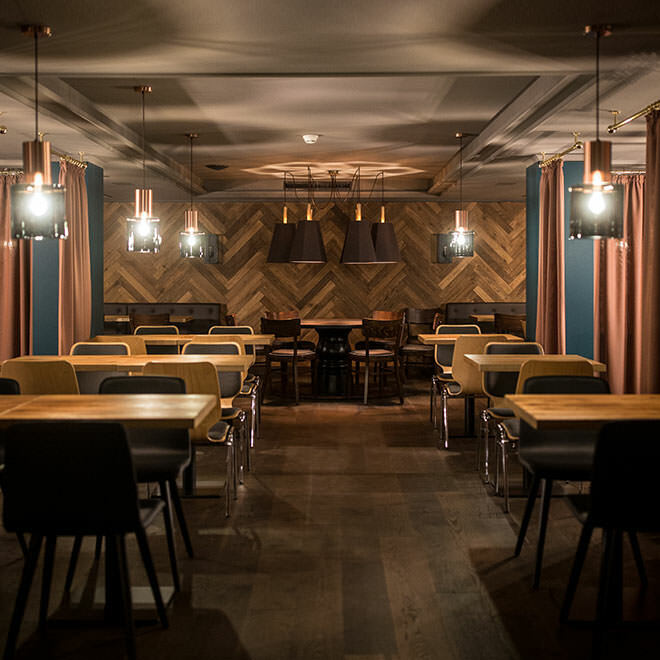 The kitchen delivers a true taste of the Alps with straight forward, honest and contemporary cuisine. 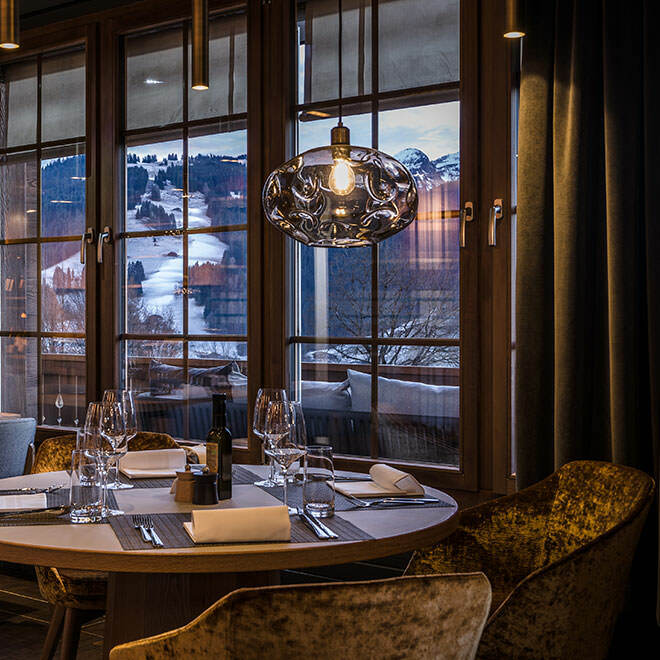 Influenced by the earthiness of the surrounding mountain landscape which can be enjoyed through the restaurant’s panoramic windows or from the expansive terrace, our chefs work with regional and seasonal produce. Freshness is paramount. Flavour is key. Craftsmanship is at the highest level and the ingredients used are of the finest quality to ensure the feel-good HUUS atmosphere comes to life through the dishes we create. Try the local lamb – coated in fresh herbs plucked straight from the HUUS garden – it’s a classic. Breakfast is the most important meal of the day, and up here on the 4th floor, it’s on the menu all day long. There are seven unique world breakfasts to choose from – comprised of over 200 choices ranging from breakfast staples to organic and health foods – we change the options daily to keep things fresh. Don’t be surprised if the person beside you orders a soft-boiled egg while another is already sipping an aperitif cocktail – we’re open for lunch and dinner too, serving international dishes with a local twist. The restaurant is also home to a terrace and children’s area offering an exclusive menu. This one’s for the whole family.